While we were focused on Henrik Fisker's departure from Fisker Automotive, the company's senior executives still had another task in hand, the deadline set by CEO Tony Posawatz to either get more investment or a sale of the company by the end of February. That task just grew more complicated because one of the Chinese bidders, Geely Group, has pulled out of the bidding, according to a Reuters report. As we noted previously, Fisker Automotive has had a rough time of it since December 2011. As a result the company was seeking suitors for a buyout, and had set a deadline to sell the company by the end of February. The two leading suitors were the Dongfeng Motor Corp. based in Wuhan, China, and Zhejiang Geely Holding Group, owner of Volvo. Geely was seen as the favored bidder because its management structure would allow it to more quickly come up with a bid for Fisker Automotive. According to the Reuters report, Geely was interested in Fisker in order to gain control over the former GM factory in Delaware bought by Fisker for production of the Atlantic (code named Nina) plug-in hybrid car. Geely saw it as an opportunity to begin manufacturing Volvo's in the U.S. However Geely reportedly was put off by requirements imposed by the Department of Energy. The plant was purchased by Fisker due to money coming from the Dept. of Energy loans in the ATVM program. The loans came with requirements for to restore manufacturing capacity and jobs at the factory, at a rate higher than Geely thought was possible. This may leave Dongfeng as the de-facto winner of the bidding process. 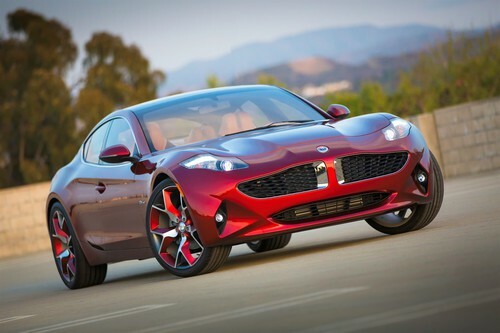 Whatever company wins control of Fisker Automotive will at the same time have to negotiate with the Wanxiang Group, the new owner of A123 Systems and the battery pack supplier for Fisker Automotive.